Baltimore again today. 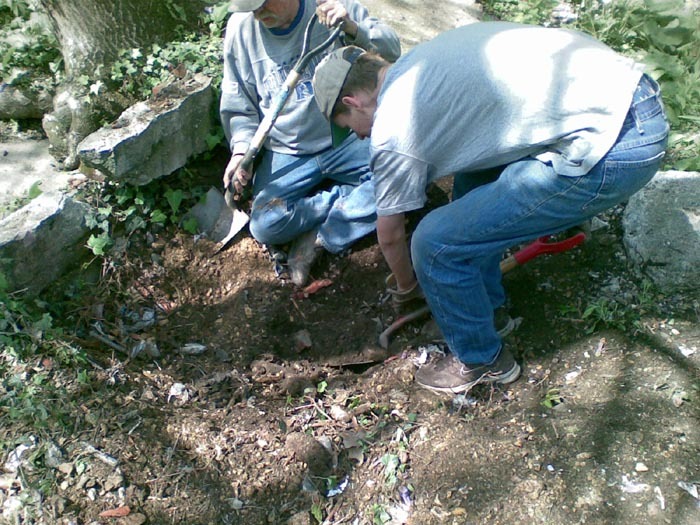 I called Matt and Doug and set up a dig behind another 1860s house. Matt asked to bring his friend David again. we all met at the usual location in canton about 10:00. And quickly headed over to the site. 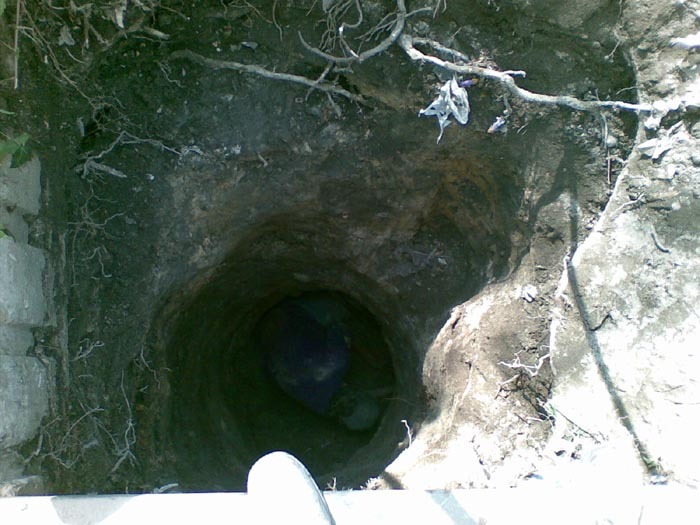 This pit had several layers of concrete sinking into it. It took us a couple hours just to open this one up. 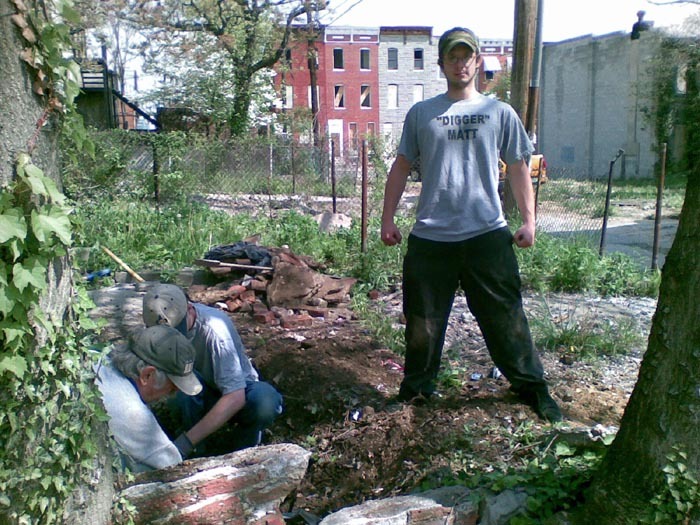 when we finally got down to about the 5 foot level we found a few common Baltimore blob beers. then what appeared to be bottom. I then got in the pit and took the probe which showed that we hit a cap layer a few feet thick then there was another foot of layer on the very bottom. We set up the tripod and started bucketing out heavy clay until this layer was exposed the first bottles out were some small colognes and then several amber strap flasks. One of which was a local embossed one. Then another blob and a couple chipped druggists then bottom. This pit was ok and had a few 1870s bottles in it. Not great but a fun dig was had by all.